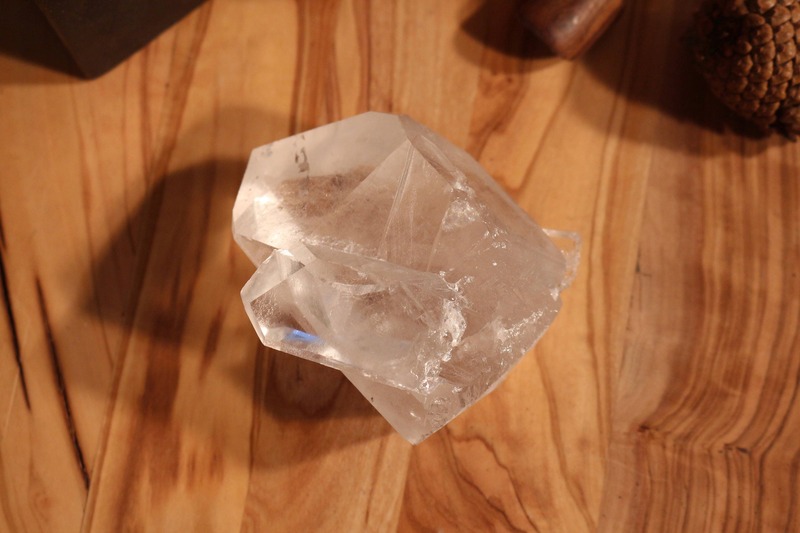 An extra large self-standing Lemurian Quartz Point Cluster, also referred to as a "sister" point as two definitive points are connected as one. An extremely clear piece with perfect, nick-free points with smooth, definitive Akashic Lines on all sides with tiny rainbows through the middle. 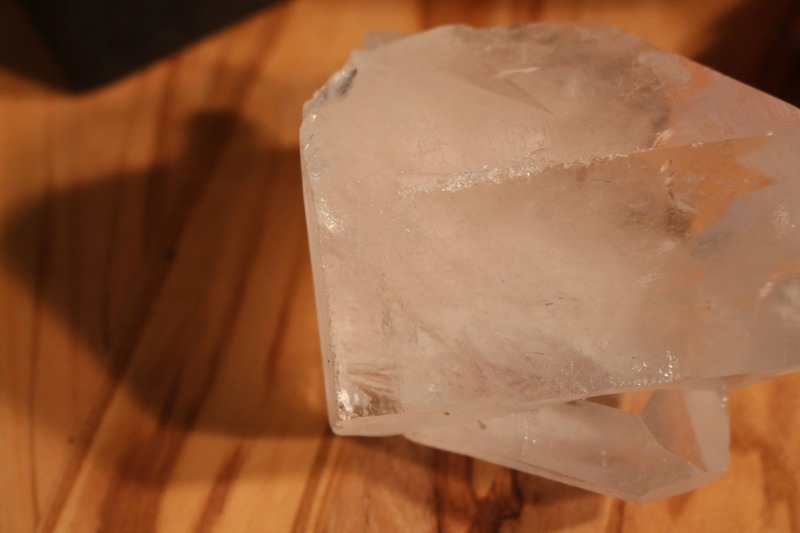 It's truly such a beautiful crystal. 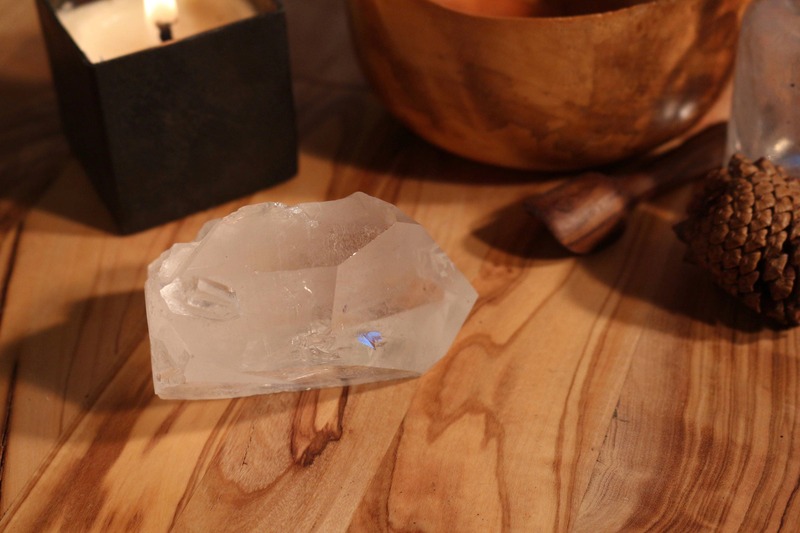 A Lemurian Seed Crystal is usually either a communicator or a healer. It is difficult to determine beforehand which it is. Most of them seem to be communicators. They are often discovered to have high efficacy in efforts to establish communication with Spirit Guides and Angels and it for this purpose they are most recommended. 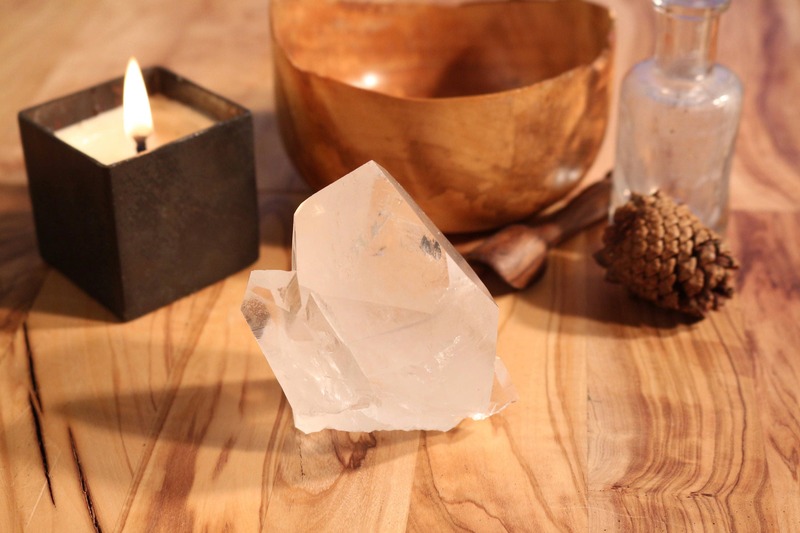 To use one, meditate quietly holding it in your right hand. Slowly move your thumbnail up the etchings one by one expecting the presence of your Spirit Guide when reaching the top rung. 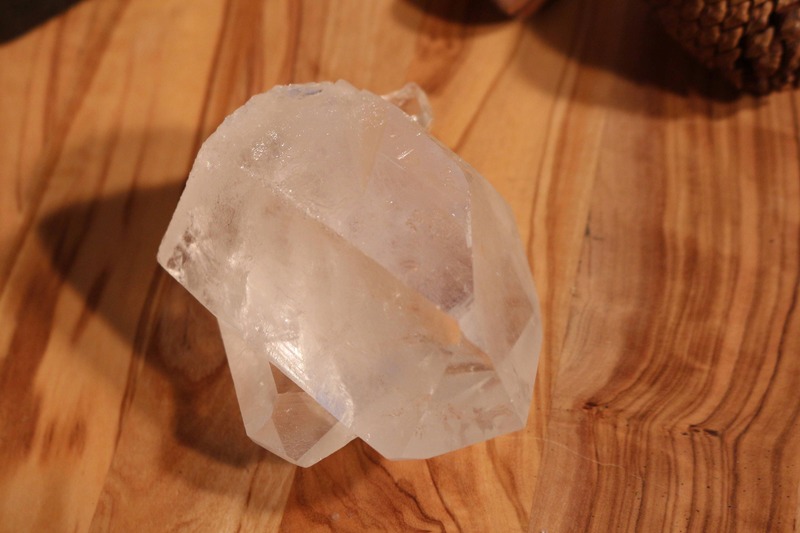 The energy of these crystals seems to be very focused and directional as if they were specially programmed. Do not expect a Spirit Guide from the very high energy levels. Accustomed to "ordinary" spirits, ones that are closer to our energy level. 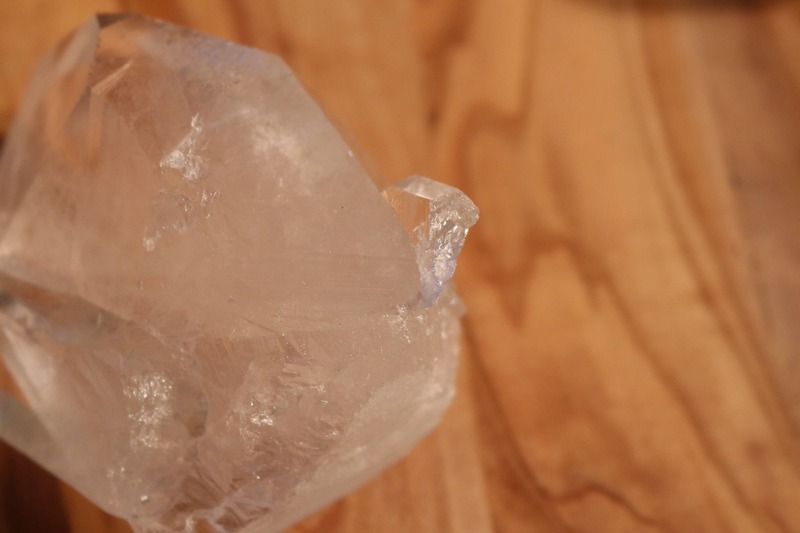 These are "earth spirit" crystals. 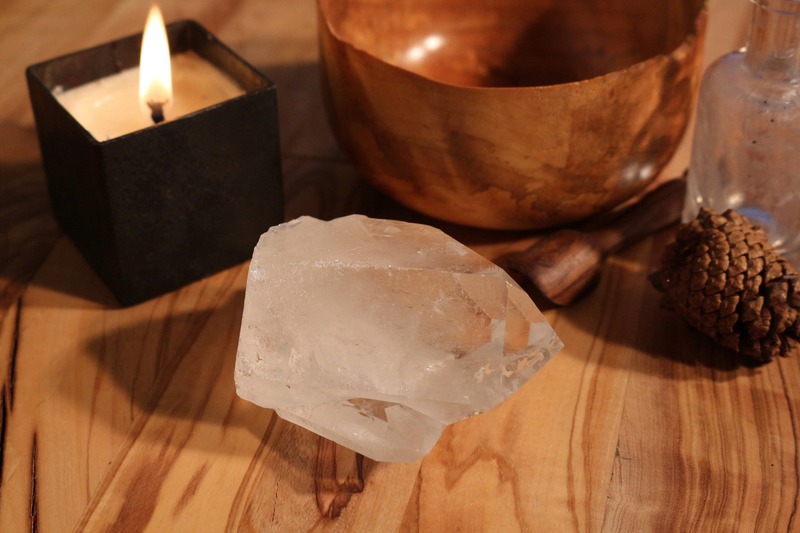 Other Lemurian Seed Crystals are often found to be effective in healing Yin energy. These are almost always Laser Wands, usually curved or bent in some way, often resembling fingers. Their healing potential seems to be more focused on teaching than healing. The crystals appear almost to guide the healer in the use of other minerals and crystals, again as if they were explicitly programmed. They seem to help our minds rapid assimilate information and process it in a non-linear fashion so that suddenly we "just know" what is wrong and what is to be done to correct it. Again this may be programmed from the Lemurians, or it may be from mysterious sources. 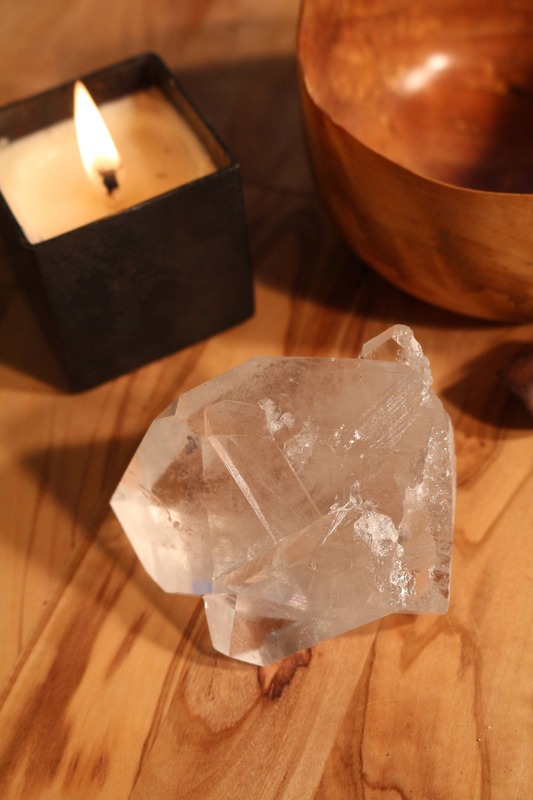 Whatever a person believes, use these crystals regularly and discover things that your mind suddenly "just knows" It is quite startling and most rewarding. 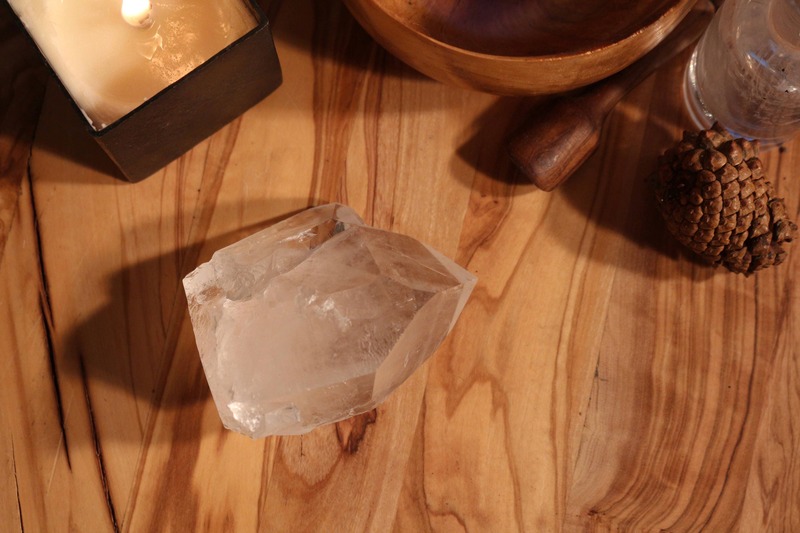 Lemurian Quartz is associated with all seven chakras but especially resonates with the Crown Chakra.